A man is at large Monday after allegedly stealing a box truck from San Francisco, which he then crashed in Sunnyvale — while fleeing from police — and fled on foot, according to the California Highway Patrol. Officers from Redwood City and the Sunnyvale Department of Public Safety were in pursuit of the truck near Maude and Mathilda avenues around 1:30 p.m. They initially reported that they were on the look out for three suspects, but amended that information. 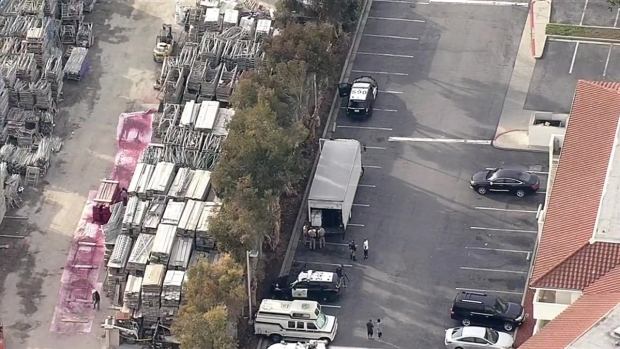 The driver stole the truck from Post Street, the CHP said. The truck’s owner, Jaime Pacheco, learned of the theft when his workers, who were at the scene, called to report the crime. Pacheco, was in South San Francisco, climbed into his car and began driving northbound on Highway 101, looking for his truck. He noticed it heading southbound and started following it, and then dialed 911 to report it had been stolen, according to the CHP. His friend in the passenger seat recorded video of the chase on his cell phone. Sunnyvale and CHP officers respond to a box struck stolen out of San Francisco. Instead of yielding when officers caught up to him in the South Bay, the suspect drove on the wrong side of State Route 237 and crashed into the shoulder. He then ran away, the CHP added. The man has since not been found and the CHP has called off its search. The suspect is believed to be 5 feet 8 inches tall and dressed in blue jeans and a dark sweatshirt. 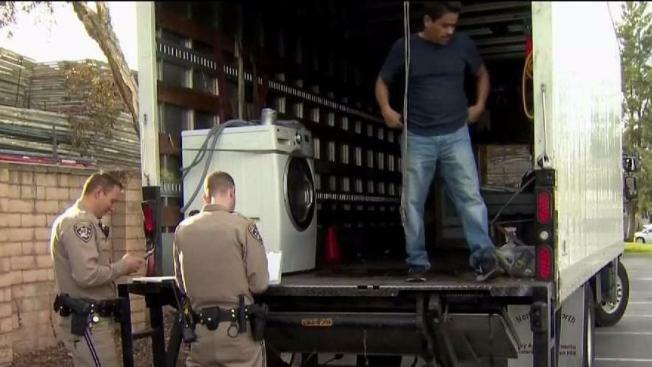 Pacheco said he uses the truck to deliver appliances for Lowe’s and estimates there was about $10,000 worth of appliances in the vehicle when it was stolen. Twitter user Brandon Read captured a video of the incident. It showed a couple of officers running with their guns drawn, while two police cars followed closely. Read said the incident was unfolding near the Sunnyvale Golf Course. NBC Bay Area's Anoushah Rasta contributed to this report.